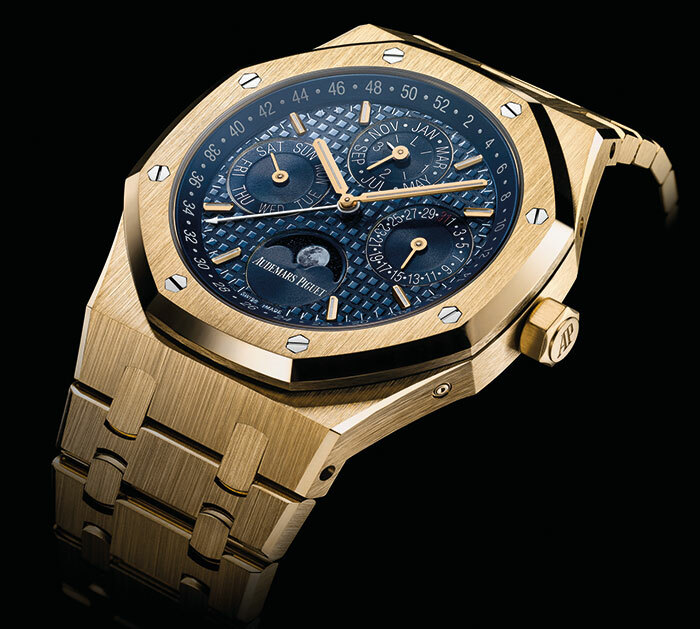 The latest version of the Royal Oak Perpetual Calendar not only comes with a clearer dial and grander case size, but its new and improved movement is so precise that the moon phase indication requires a correction just once every 125 years and 317 days. It goes without saying that this piece is worthy of being on our covetable list twice over. 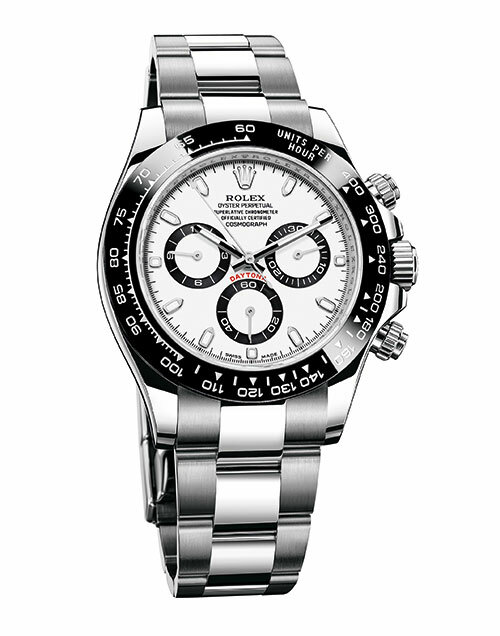 Reminiscent of the 1965 model fitted with a black Plexiglas bezel insert, the new Oyster Perpetual Cosmograph Daytona in 904L steel blends high technology with a sleek aesthetic. 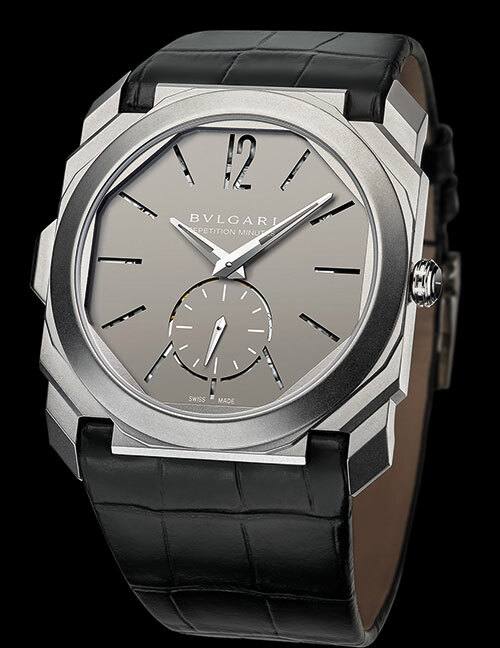 Its movement, which offers a power reserve of approximately 72 hours, is equipped with a self-winding module featuring a perpetual rotor. The Endeavour Perpetual Calendar Concept marks the 10th anniversary of the brand’s flagship model and presents a minimalistic dial that is uncharacteristic for a complicated watch. 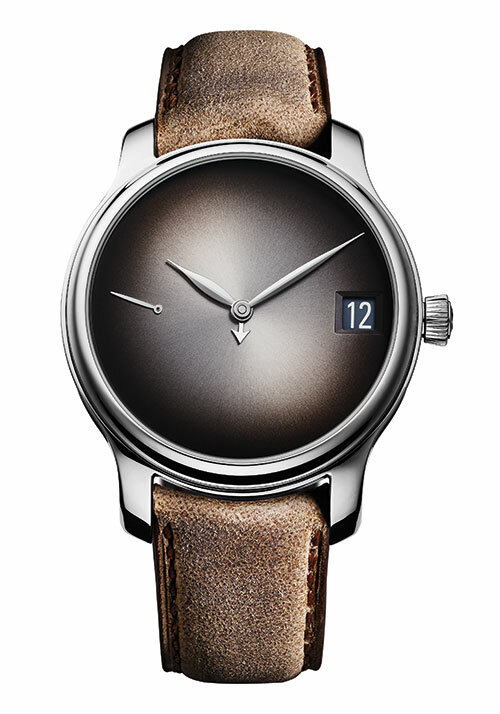 Featuring the signature fumé dial but without a logo or markers, it is immediately distinguishable, epitomising the one-of-a-kind nature of luxury. Maintaining a commitment to ethical sourcing, the brand presented its first all in-house perpetual calendar chronograph, the L.U.C Perpetual Chrono, issued in a ‘fairmined’ 18-carat white-gold 20-piece edition at Baselworld this year. The combination of complications with such refined finishing is quite uncommon, making this a true connoisseur collectable. 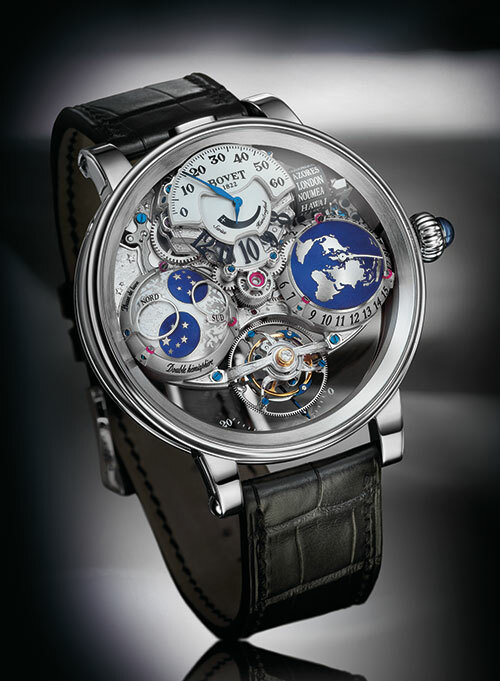 Featuring the Graff Calibre 7 — an exclusive, proprietary movement with a depth of just 7.72mm — the MasterGraff Perpetual Calendar has an intricate openwork dial displaying the day, date and month, in addition to a dial that indicates leap years, a tourbillon cage and a 22-carat gold offset rotor with a depth of just 2.4mm. 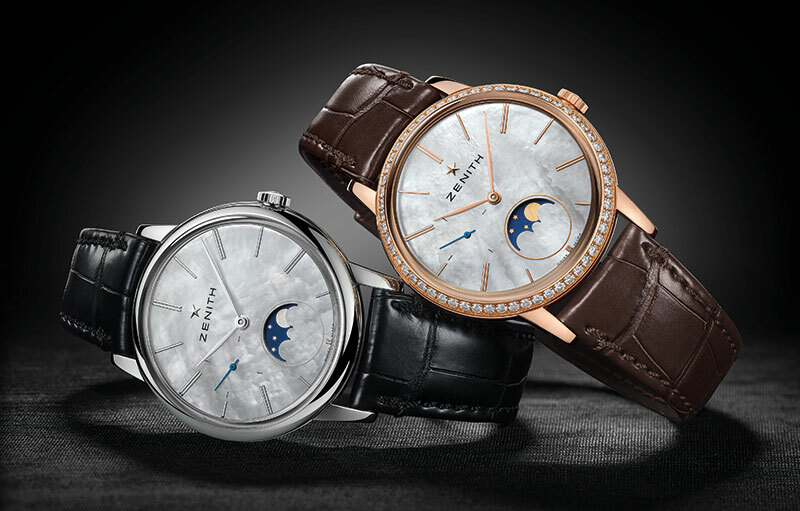 The ultra-thin case of the Elite Lady Moon Phase is fitted with a fluted crown that allows for smooth moon phase adjustments, while the pure mother-of-pearl dial is surrounded by a diamond-set or polished bezel. Exuding feminine power in every detail, it beats to the rhythm of the automatic Elite Calibre 692, entirely developed and crafted in-house. 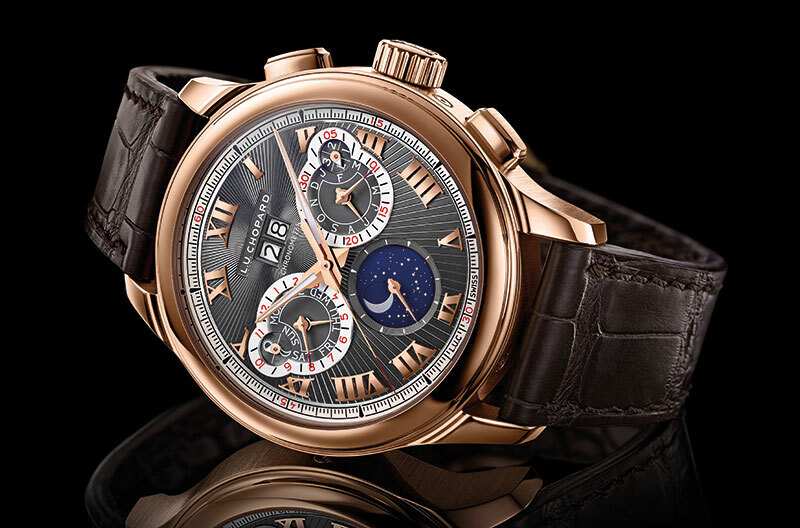 Presented in a limited edition of 200 watches, the Grand Lange 1 Moon Phase “Lumen” combines a dial layout with a mystically incandescent date window. For the moon phase display, 1,164 laser-cut stars and the moon glimmer on a glass lunar disc. An example of horological magnificence, the Récital 18 Shooting Star won in the prestigious Watch with Complications category at the Luxembourg Watch Fair Awards 2016. Its hemispheric precision moon phase stands out despite sharing the stage with a five-day tourbillon, hemispheric universal worldwide time with selectable time zone, ultra-compact 24 cities indicator, jumping hours and retrograde minutes. 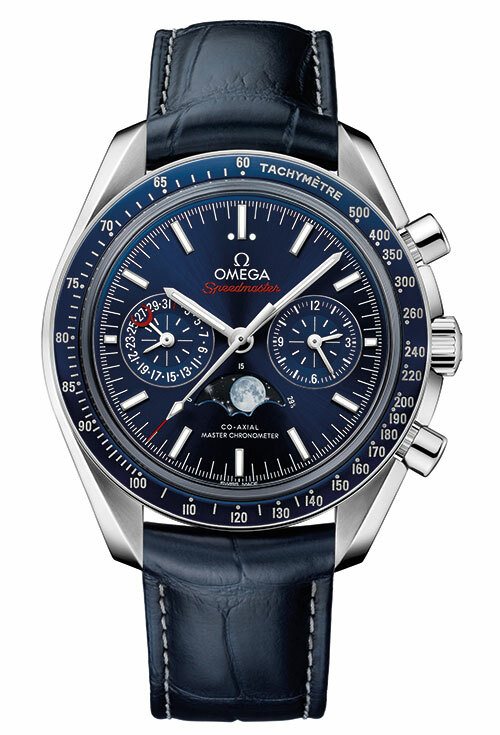 The representation of the moon on a watch has never looked more realistic than on the Speedmaster Moonphase Master Chronometer Chronograph. What’s more, it features a reproduction of Buzz Aldrin’s footprint — as seen in the celebrated snapshot — at the spot where the Eagle lander touched down on the moon! The brand broke another record this year with the introduction of the Octo Finissimo Minute Repeater — the world’s thinnest minute repeater watch. The 6.85mm-thick sandblasted titanium case houses a manually wound movement that astounds with a thickness of merely 3.12mm. 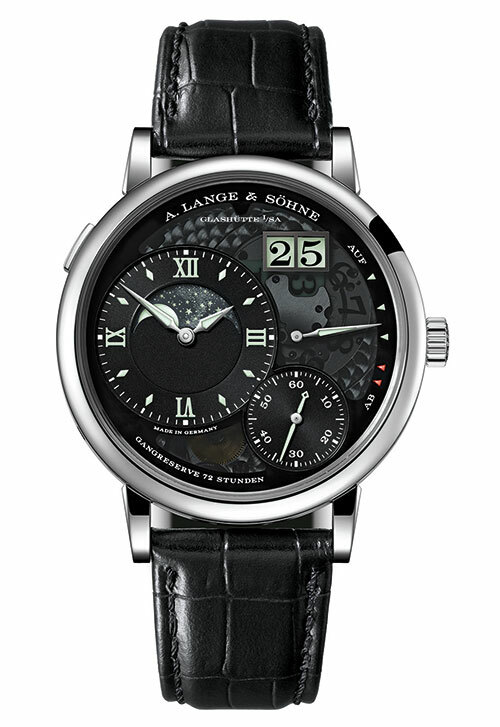 Despite this, the chimes are enjoyably audible due to the titanium, which also makes up the dial. The second generation of the original Stranger watch that played the tune of Strangers In The Night, Stranger Vivaldi performs the baroque composer’s violin concerto in E major. 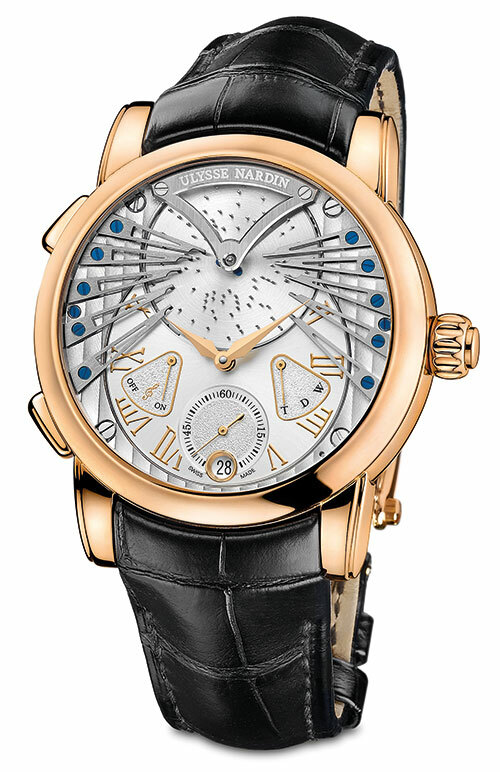 The timekeeper takes wearers down the memory lane, with its muse being a classical music box — all one needs to do is press the melody-on-call pusher at 8 o’clock for a treat. 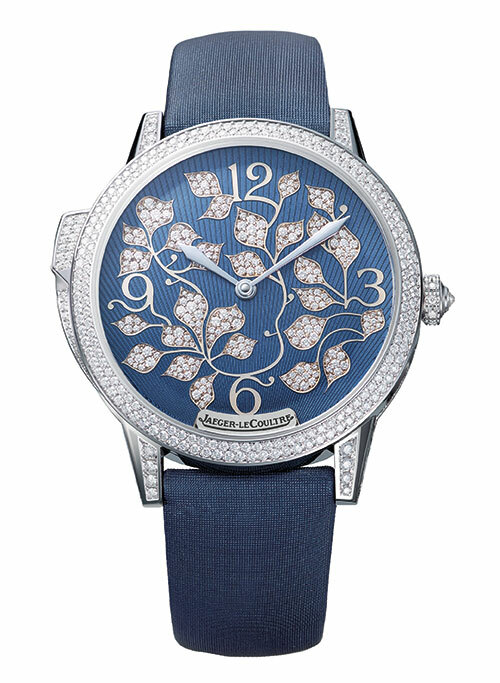 The newest Rendez-Vous Ivy Minute Repeater features a white-gold case and dial carefully detailed by master enamellers and gem-setters, with 548 diamonds — 255 of which adorn the dial itself. 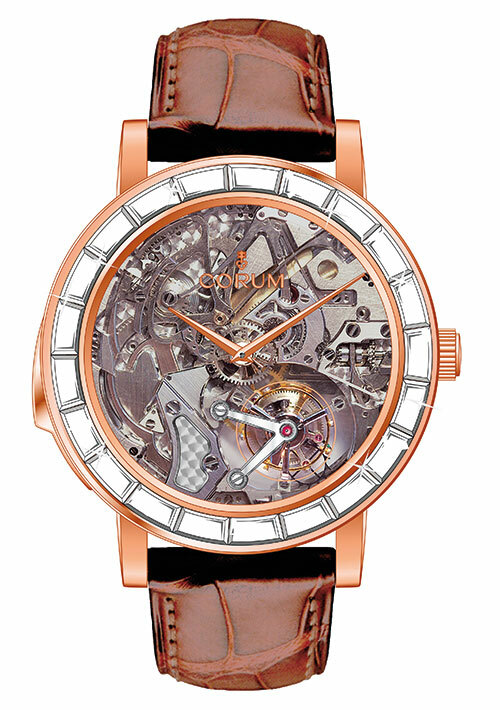 The watch is fitted with two patented trebuchet hammers which strike two crystal gongs at once, producing a loudspeaker effect. 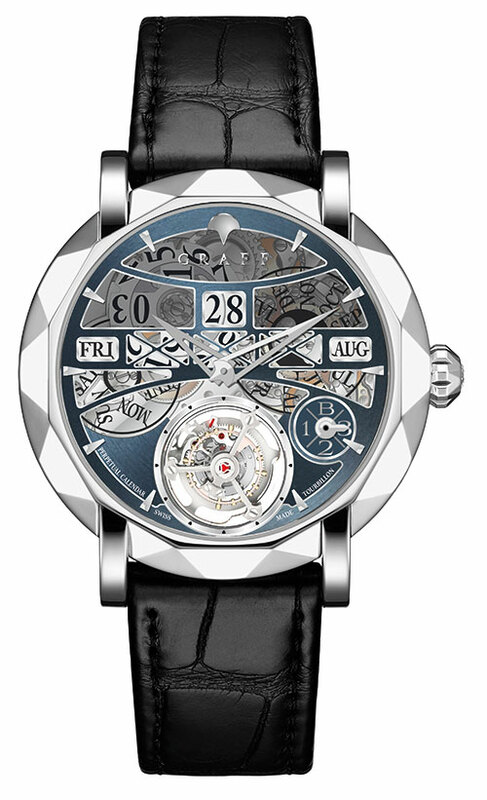 Inspired by the Acoustica unveiled by the brand in 2012, the Heritage Minute Repeater has one of the most challenging complications equipped with four gongs and four hammers, two of which strike simultaneously. This exceptional feature produces a melodious chord (do-mi-sol-do) instead of a single note. 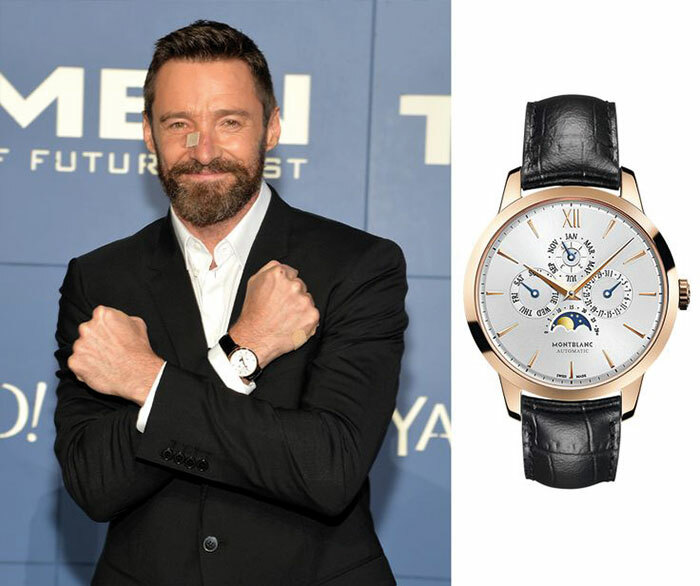 Hugh Jackman turned heads at a movie premiere this year with his Montblanc Meisterstück Heritage Perpetual Calendar timepiece.